This undated photo provided by the Texas Department of Criminal Justice shows Roberto Moreno Ramos. Ramos is scheduled for lethal injection for the 1992 killings of his 42-year-old wife, Leticia, their 7-year-old daughter, Abigail, and their 3-year-old son, Jonathan, at their home in Progreso, located along the Mexico border about 20 miles southeast of McAllen. Prosecutors say Ramos killed his loved ones and then buried them underneath his home’s freshly tiled bathroom floor. Authorities say he bludgeoned his family members so he could marry the woman he was having an extramarital affair with at the time. 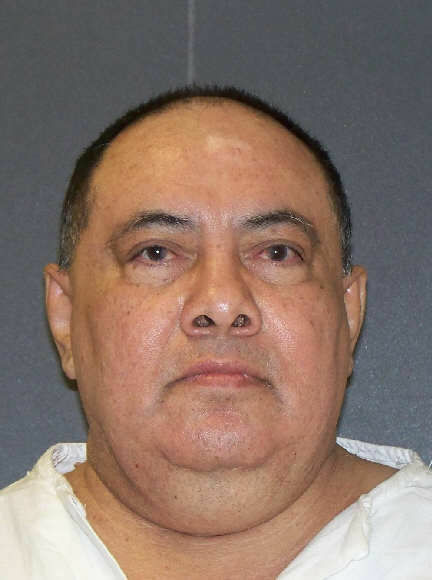 Robert Moreno Ramos, the Progreso man convicted of the February 1992 murders of his wife and two children, is scheduled to be executed tonight after being on death row for more than two decades. Ramos’ execution will be the 11th in Texas and 21st in the country in 2018. A Mexican national from Aguascalientes, Mexico, Ramos’ federal appeal was rejected in July 2016. The murders of his wife Leticia, 42, and son and daughter Jonathan and Abigail, 3 and 7, rocked the small community of Progreso, where Ramos and his family resided. He was convicted of capital murder in 1993, having confessed to the beating deaths after forensic evidence showed traces of blood within the family’s residence. In 2016, Joe Marchan of the DPS crime lab recalled retired forensic scientist Alejandro “Alex” Madrigal Jr. saying, “They’re under the tile,” upon entering the Ramos bathroom in 1992. Ramos installed tile at the time, according to Marchan. Investigators later discovered that Ramos had beaten his family to death with a sledgehammer and buried them underneath the bathroom floor of the family’s home so he could marry a Brownsville woman. Ramos, 64, is scheduled to be executed by lethal injection inside the Huntsville Unit.